Hee! 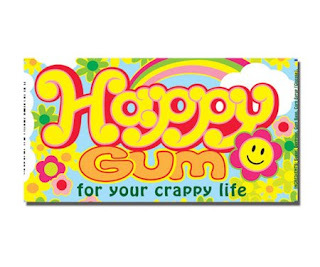 Perhaps it's 'Crappy Gum for Your Happy Life'? Either way, its sunshiney bright Brady Bunch packaging is an eye pleaser & morale booster to be sure. Hopefully the gum lives up to the promise.